Suffering from irregular bowel movements is not uncommon, or necessarily that bad, but it can be a real hassle and set back. On average, women suffer from difficulties more than men, which doctors believe to be related to hormones. However, there are multiple reasons why you may be experiencing constipation. Monthly cycles, stress, a change of environment or routine, sleeping patterns, diet, pregnancy or medications. Speaking of medicine, there are healthy ways to encourage a movement that don’t involve prescription laxatives. The key here is being as gentle as possible with your body when it’s already going through internal stress. Over the counter laxatives can involve some really unattractive side effects, but may be necessary in extreme circumstances. If you’ve been blocked up for 3 days or more, it’s a good time to speak to a doctor, and explain your symptoms. Before you get to day 3 though, try out any of these 5 natural laxatives to see if mother nature can get things rolling. The absolute best food that scientists have found to improve gut bacteria is kefir. Made from any type of milk, including cow, goat, sheep, coconut, rice or even soy. 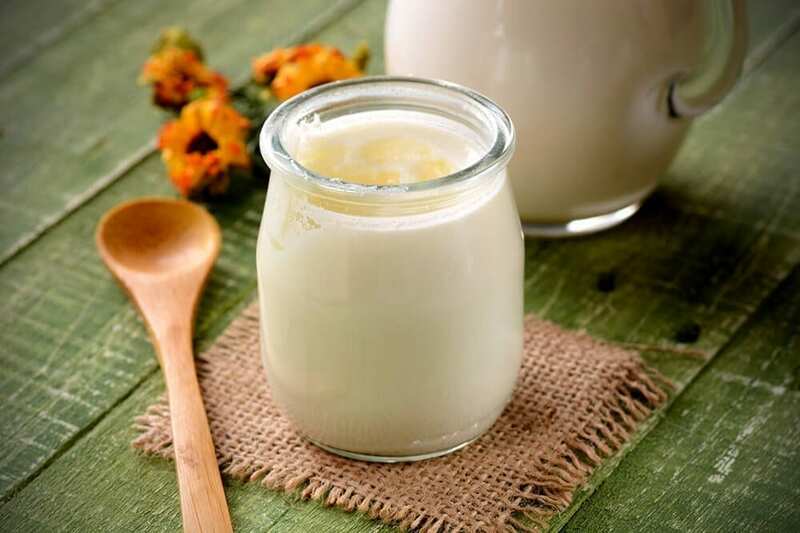 Like yogurt, kefir is a cultured milk product with a tart taste, and is made with either powdered starter or kefir grains (made of bacteria and yeast). Among the seemingly endless list of vitamins, nutrients and benefits of flaxseeds, lies it’s mucilage content. Mucilage is a compound which once in the digestive system, coats the intestines with a gummy-like substance, encouraging the smooth passage of food from intestine to bowel. All the extra fibre present in flaxseeds will also stimulate the bowels, creating regularity and healthy evacuation, without the need for prescription laxatives. Try incorporating flaxseeds into your breakfast every morning for a happy and regular digestive process. Here at The School of Natural Health Sciences, we’re still tucking in to our perfect morning recipe concoction which we shared last year in one of our food blogs: the ultimate breakfast featuring gut-glorious kefir, digestive-aiding ground flaxseeds and rejuvenating blueberries. Get the recipe right here. 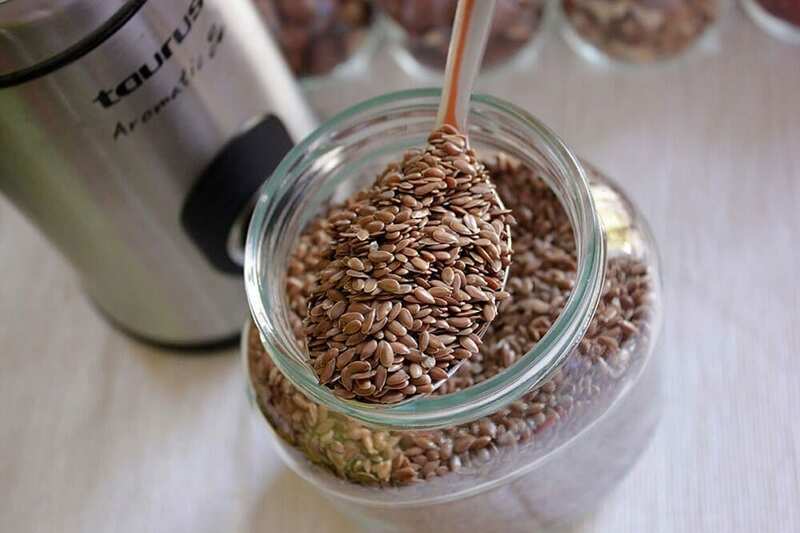 Keep in mind: If you’re not familiar with eating flaxseeds, we recommend starting off with only one dessert spoon, even though our recipe uses four. It’s best to allow the body to become accustomed to the increase in fibre, and then gradually up your intake if you find all is well. The famous cabbage condiment which has been a staple food in Germany since the 1600s is brimming with probiotics. Unfortunately, the popular pickling method using a vinegar solution for mass production leaves the cabbage void of active bacteria. Most canned sauerkraut you’ll find on grocery store shelves or atop a hotdog in New York will use this bacteria-less method. To make traditional sauerkraut, cabbage is fermented with live cultures in a process called lactic acid fermentation. To get the probiotic power, it must be eaten fresh, (a rule that applies to most other foods). 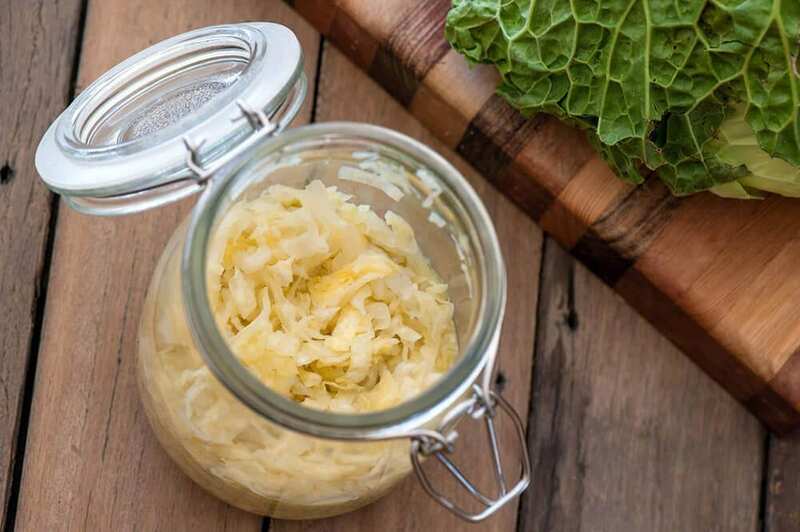 For a simple method to making our own sauerkraut at home, we’ve followed the BBC’s recommendations. Did you know? Fermented foods such as saurkraut and kefir, by their very nature are quite acidic, forcing the vital microbes to evolve and sustain themselves in the stomach. Once they make their way down to the intestinal tract, they colonise with gut-friendly bacteria, and overpower harmful mircrobes. Fruits and veg have more of a health impact than simply supplying you with vitamins, they also clear out bad cholesterol, improve your mood and keep you regular. Certain fruits in particular are especially fibrous, without making you gassy like most cruciferous vegetables would. In addition, these fruits are packed full of antioxidants and anti-inflammatory properties which sooth the GI system. 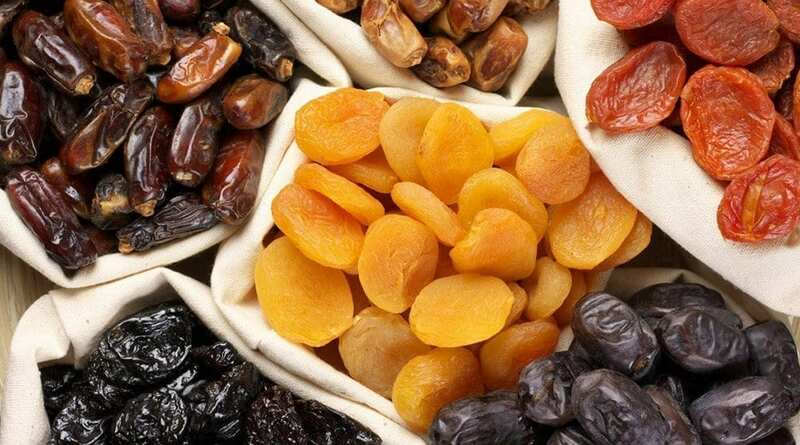 When going for gold, stick to dried fruits like figs, apricots and the famous poo-purpose prunes. The reason we recommend going for dehydrated fruits is that as laxatives go they are more powerful, their fibre content is denser, increasing the likelihood of going to the toilet sooner rather than later. Olive oil, mineral oil, flax seed oil and castor oil are another great natural alternative to prescription laxatives. Try taking a tablespoon of it or, if that sounds too hard to stomach, using a larger amount while cooking and mixed in with your salad dressing. 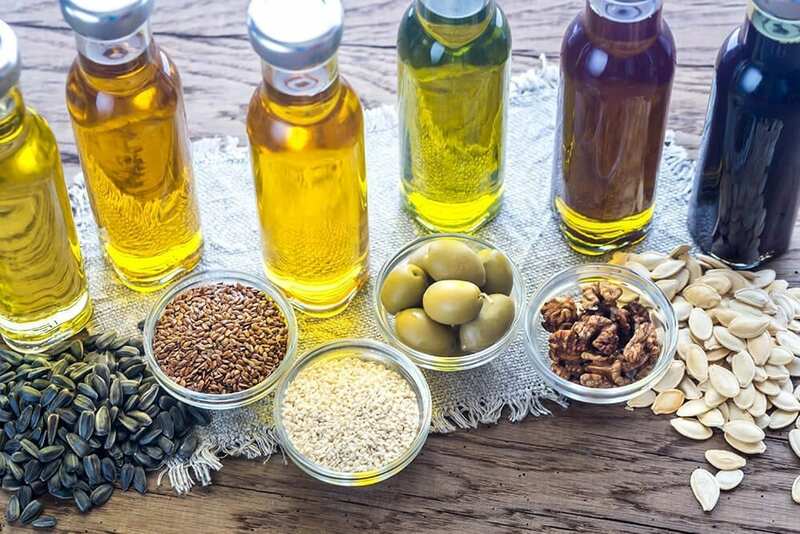 While oil is one of the more calorie-heavy options – one tablespoon contains around 120 calories – it helps by making your stool slightly more slippery and softer as it passes through your digestive track. At The School of Natural Health Sciences we offer over 60 courses in holistic health therapies, accredited in 26 countries. Seven of our courses are nutrition based – Clinical Nutrition, Advanced Nutrition, Child & Adolescent Nutrition, Sport & Exercise Nutrition, Nutrition for Age 50+, Vegetarian & Vegan Nutrition and our most recent addition: Ethical & Sustainable Eating Course. Set yourself up for success with our diplomas – distance learning allows you to study at a pace and location that best suits your needs. No stress or deadlines – education the holistic way!